Given that less than 1 percent of the water on the planet is drinkable, a process to remove minerals, like salt, from water could help to alleviate many problems for the global community. 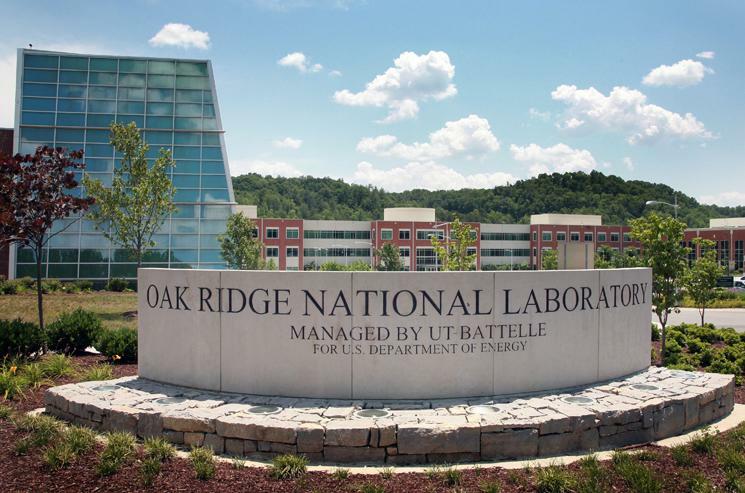 In the U.S., a research group based at the Department of Energy’s Oak Ridge National Laboratory have been working on a low-energy efficient desalination process. The newly devised method deploys a porous membrane made of graphene. Graphene is a very strong, low weight material. It is 100 times stronger than steel and it conducts heat and electricity with great efficiency. The material is being investigated for many potential applications, including water purification. The graphene membrane is, according to the researchers, more effective and uses less energy compared with current polymeric membranes, which work on the basis of reverse osmosis. 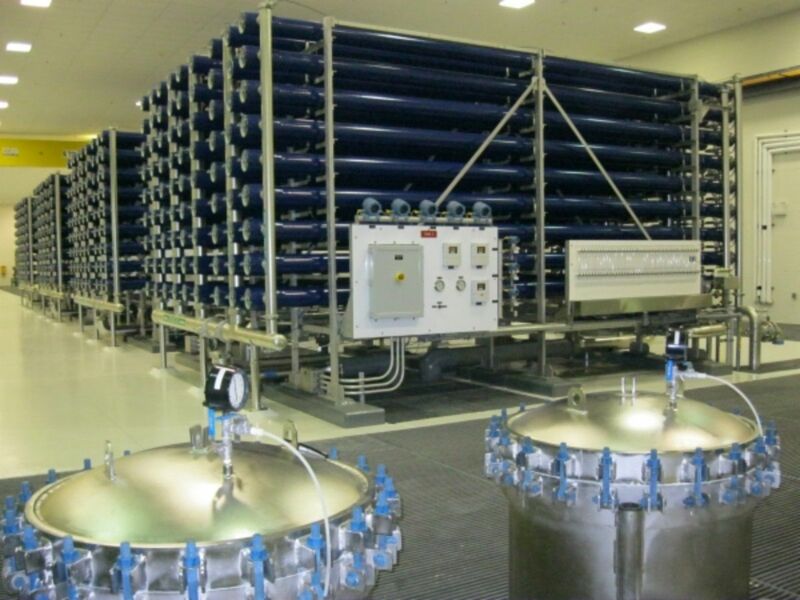 With reverse osmosis an applied pressure is used to overcome osmotic pressure; this allows water to pass through a membrane whilst at the same time particles are retained. With the new method the most important aspect is making the pores in the graphene. The size here is important: large enough to allow water molecules to pass through but sufficiently small to stop salt molecules from traversing the mesh. The reason that the graphene process is more energy efficient comes down to the size of the mesh. Graphene is considerably thinner (just one atom in thickness) than the plastic polymers and the result of this is that less energy is required to push the fluid through. The graphene structure was manufactured by passing methane gas through a tube furnace at 1,000 degrees C over a copper foil. This decomposed the methane into carbon and hydrogen. The carbon then assembled into a hexagonal configuration of one atom thick molecules. The graphene was then mounted onto a silicon nitride support. Small pores in the graphene are created using a plasma (an ionized gas.) Pores were created at the rate of one pore for every 100 square nanometers of graphene. In experimental runs the graphene filter was used to remove salt from sea water in order to create water of drinking water quality. The test runs were effective with almost 100 percent of the salt removed. When metal oxide nanoparticles are produced, they spontaneously adsorb water from the atmosphere, bonding it to their surface, explained Hsiu-Wen Wang, a research scientist currently at the ORNL–University of Tennessee Joint Institute for Neutron Sciences who performed this research while conducting a postdoctoral fellowship in the Chemical Sciences Division (CSD) at ORNL. This water can interfere with the function of SnO2-containing products in surprising ways that are hard to predict. Wang’s team used neutron scattering at ORNL’s Spallation Neutron Source (SNS) to help understand the role that bound water plays in the stability of SnO2 nanoparticles and to learn more about the bound water’s structure and dynamics. Wang said neutrons are perfect for studying light elements such as the hydrogen and oxygen that make up water, and molecular dynamics simulations are an ideal tool to reinforce the observations. In fact, hydrogen is essentially invisible to X-ray and electron beams but scatters neutrons strongly, making neutron diffraction and inelastic scattering the ideal tools for probing the properties of water and other hydrogen-bearing species. OAK RIDGE, Tenn., Oct. 28, 2013 – Gas and oil deposits in shale have no place to hide from an Oak Ridge National Laboratory technique that provides an inside look at pores and reveals structural information potentially vital to the nation’s energy needs. The research by scientists at the Department of Energy laboratory could clear the path to the more efficient extraction of gas and oil from shale, environmentally benign and efficient energy production from coal and perhaps viable carbon dioxide sequestration technologies, according to Yuri Melnichenko, an instrument scientist at ORNL’s High Flux Isotope Reactor. Melnichenko’s broader work was emboldened by a collaboration with James Morris and Nidia Gallego, lead authors of a paper recently published in Journal of Materials Chemistry A and members of ORNL’s Materials Science and Technology Division. “Combined with atomic-level calculations, we demonstrated that local defects in the porous structure observed by microscopy provide stronger gas binding and facilitate its condensation into liquid in pores of optimal sub-nanometer size,” Melnichenko said. “Our method provides a reliable tool for probing properties of sub- and super-critical fluids in natural and engineered porous materials with different structural properties. ORNL’s Spallation Neutron Source (http://neutrons.ornl.gov/faciliities/SNS/) is a one-of-a-kind research facility that provides the most intense pulsed neutron beams in the world for scientific research and industrial development. HFIR (http://neutrons.ornl.gov/facilities/HFIR/) at ORNL is a light-water cooled and moderated reactor that is the United States’ highest flux reactor-based neutron source. 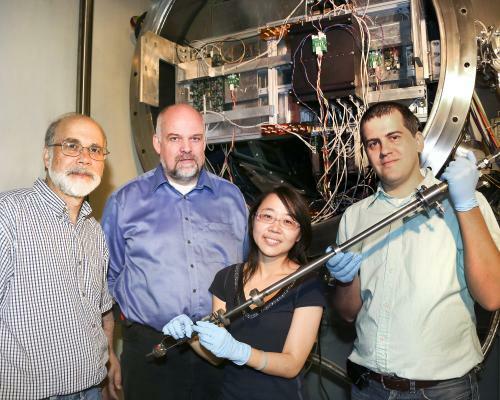 The ShaRE User Facility (http://web.ornl.gov/sci/share/) makes available state-of-the-art electron beam microcharacterization facilities for collaboration with researchers from universities, industry and other government laboratories. As a national resource to enable scientific advances to support the missions of DOE’s Office of Science, the National Energy Research Scientific Computing Center (http://www.nersc.gov), annually serves approximately 3,000 scientists throughout the United States. The ability to control nanoscale imperfections in superconducting wires results in materials with unparalleled and customized performance, according to a new study from the Department of Energy’s Oak Ridge National Laboratory. A team led by ORNL’s Amit Goyal demonstrated that superconducting wires can be tuned to match different operating conditions by introducing small amounts of non-superconducting material that influences how the overall material behaves. Manipulating these nanoscale columns — also known as defects — allows researchers to exert control over the forces that regulate the wires’ superconducting performance. 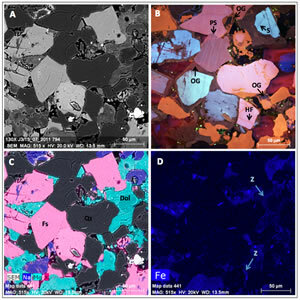 The team’s findings are published in Nature Publishing Group’s Scientific Reports. “Not only can we introduce these nanocolumn defects within the superconductor and get enhanced performance, but we can optimize the performance for different application regimes by modifying the defect spacing and density,” Goyal said. A wire sample grown with this process exhibited unprecedented performance in terms of engineering critical current density, which measures the amount of current the wire can carry per unit cross-sectional area. This metric more accurately reflects the real-world capabilities of the material because it takes into account the wire’s non-superconducting components such as the substrate and the buffer and stabilizer layers, Goyal said. “We report a record performance at 65 Kelvin and 3 Tesla, where most rotating machinery applications like motors and generators are slated to operate,” he said. magnetic field orientations of 43.7 kiloamperes/cm2, which is more than twice the performance level needed for most applications. This metric assumes the presence of a 50-micron-thick copper stabilizer layer required in applications. 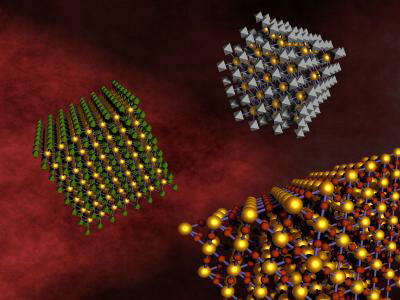 Generating defects in the superconductor is accomplished through an ORNL-developed self-assembly process, which enables researchers to design a material that automatically develops the desired nanoscale microstructure during growth. The mechanism behind this process, which adds very little to the production cost, was the subject of a recently published study by a team led by Goyal in Advanced Functional Materials. “When you’re making the wires, you can dial-in the properties because the defects self-assemble,” Goyal said. “You change the composition of the superconductor when you’re depositing the tape.” Goyal, who has collaborated with multiple superconducting technology companies, hopes the private sector will incorporate the team’s findings to improve upon existing products and generate new applications. The study is published as “Engineering nanocolumnar defect configurations for optimized vortex pinning in high temperature superconducting nanocomposite wires.” Co-authors are ORNL’s Sung Hun Wee and Claudia Cantoni and the University of Tennessee’s Yuri Zuev. This story is reprinted from material from Oak Ridge National Lab, with editorial changes made by Materials Today. The views expressed in this article do not necessarily represent those of Elsevier. Link to original source. (Nanowerk News) Researchers at the University of Missouri have demonstrated the ability to create a multi-layered harness nanoparticle that can safely encapsulate powerful alpha-emitting radioisotopes and target tumors. The resulting nanoparticles not only offer the possibility of delivering tumor-killing alpha emitters to tumors, but also sparing healthy tissue from radiation damage. J. David Robinson and his colleagues published their findings in the journal PLoS One (“Gold Coated Lanthanide Phosphate Nanoparticles for Targeted Alpha Generator Radiotherapy”).Typically, when radiation treatment is recommended for cancer patients, doctors are able to deliver radiation from a source outside the body or they might inject one of several radiopharmaceuticals that emit low-energy radiation known as beta particles. For years, scientists have been studying how to use “alpha emitters,” which are radioactive elements that release high-energy alpha particles that would more effectively damage cancer cells and trigger cell death. The challenge to using alpha emitters is that the decay elements, the so-called daughters, are themselves highly toxic and difficult to contain in the vicinity of the tumor, thus causing significant damage to healthy tissues.”If you think of beta particles as slingshots or arrows, alpha particles would be similar to cannon balls,” said Dr. Robertson. He explains that recent work has shown that alpha particles can be effective in treating cancer in specific instances. “For example, a current study using radium-223 chloride, which emits alpha particles, has been fast-tracked by the U.S. Food and Drug Administration because it has been shown to be effective in treating bone cancer. However, it only works for bone cancer because the element, radium, is attracted to the bone and stays there. We believe we have found a solution that will allow us to target alpha particles to other cancer sites in the body in an effective manner.”In their studies, Dr. Robertson and colleagues from Oak Ridge National Laboratory and the School of Medicine at the University of Tennessee in Knoxville used the isotope actinium-225, an element that when it decays produces a high-energy alpha particle and radioactive daughter elements, which are also capable of emitting alpha particles. Efforts to contain the daughter elements using traditional molecular constraints proved fruitless because the emitted alpha particles broke the chemical bonds necessary to hold the daughter elements in place.The Missouri team solved this problem by sequestering actinium-225 in the core of a gold-coated magnetic nanoparticle. The magnetic layer, comprised of gadolinium phosphate, serves to increase retention of the daughter elements while simplifying particle purification and the gold coating provides a surface to which tumor-targeting molecules can be attached. In the experiments described in their current publication, the researchers used an antibody that targets a receptor found on the surface of lung tumors.”Holding these alpha emitters in place is a technical challenge that researchers have been trying to overcome for 15 years,” Dr. Robertson said. “With our nanoparticle design, we are able to keep more than 80 percent of the element inside the nanoparticle 24 hours after it is created.” While alpha particles are extremely powerful, they do not travel very far, so when the nanoparticles get close to the targeted cancer cells, the alpha particles are more selective at damaging cancer cells but not surrounding cells. Discovering New Material Properties in Computer Simulations “Single atomic layers of different oxides are stacked, creating a material with electronic properties which are vastly different from the properties the individual oxides have on their own”, says Professor Karsten Held from the Institute for Solid State Physics, Vienna University of Technology. In order to design new materials with exactly the right physical properties, the structures were studied in large-scale computer simulations. As a result of this research, the scientists at TU Vienna discovered that the oxide heterostructures hold great potential for building solar cells. 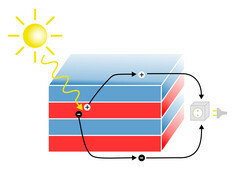 Turning Light into Electricity The basic idea behind solar cells is the photoelectric effect. Its simplest version was already explained by Albert Einstein in 1905: when a photon is absorbed, it can cause an electron to leave its place and electric current starts to flow. When an electron is removed, a positively charged region stays behind – a so called “hole”. Both the negatively charged electrons as well as the holes contribute to the electrical current. Two Isolators Make a Metal The oxides used to create the material are actually isolators. However, if two appropriate types of isolators are stacked, an astonishing effect can be observed: the surfaces of the material become metallic and conduct electrical current. “For us, this is very important. This effect allows us to conveniently extract the charge carriers and create an electrical circuit”, says Karsten Held. Conventional solar cells made of silicon require metal wires on their surface to collect the charge carriers – but these wires block part of the light from entering the solar cell. Putting Theory into Practice The team from TU Vienna was assisted by Satoshi Okamoto (Oak Ridge National Laboratory, Tennessee, USA) and Professor Giorgio Sangiovanni, a former employee of TU Vienna, who is now working at Würzburg University, Germany. In Würzburg, the new solar cells will now be build and tested. “The production of these solar cells made of oxide layers is more complicated than making standard silicon solar cells. But wherever extremely high efficiency or minimum thickness is required, the new structures should be able to replace silicon cells”, Karsten Held believes.